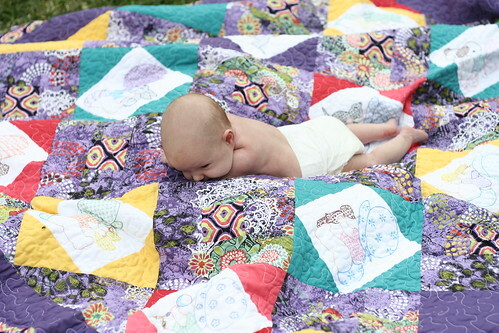 Part 2 of Sweet P's Quilts are made by her Granny Sandy. I love the pinks and greens in this first one. All the material is flannel and is SO soft. Her face cracks me up in this one! Not a great shot of Sweet P, but you can really see the quilt. And a little smile from my 6 week old girl! 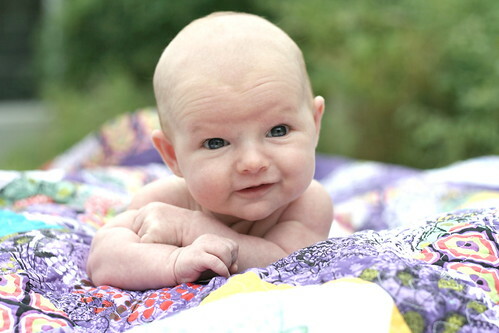 Thank you so much Granny Sandy for the beautiful quilts! I guess I better get with it and check out your blog more often, I seem to be missing out on a lot. 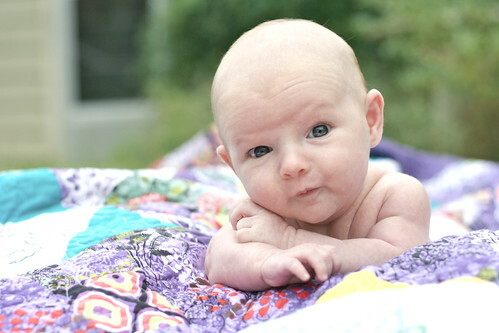 Great pics of Sweet P. Love the first one, she looks like she is not sure about what's going on. Thanks for quilt plug!! !